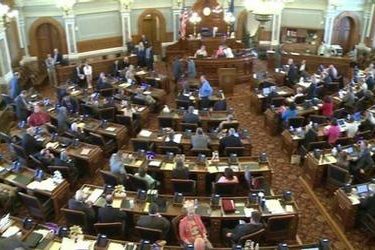 Big questions about taxes and spending will shape the Kansas Legislature’s work after its annual session opens Jan. 9. But the biggest question might be how much GOP moderates work with conservatives and how often they seek deals with Democrats. Lawmakers and Gov. Sam Brownback must close a projected shortfall of more than $345 million in the current budget and estimated gaps in funding for existing programs that total almost $1.1 billion through June 2019. It’s not clear whether the Republican-controlled Legislature will increase taxes or pressure Brownback to rethink income tax cuts he championed in 2012 and 2013. And with a Kansas Supreme Court ruling on education funding expected soon, lawmakers will face pressure to provide more money for public schools.